A plain pine table is transformed with French Country Style tiles applied with paint and sponges cut into shapes. 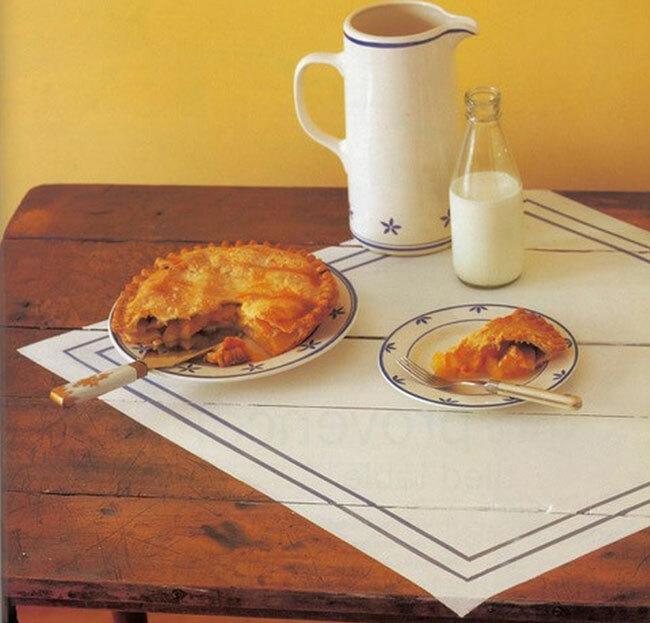 An easy fix, paint a country casual tablecloth onto an oak stained table with the help of low tack masking tape. We are refinishing some furniture for our large, wrap-around porch. There are two tables, one for each end and wood and wicker chairs we found at a flea market to go with them. I want a real country vibe. Thanks for your fun ideas. How wonderful to be thinking about sitting outside again. As Spring approaches our energy revs up and it’s great to have a project or two to prepare for the season. Revitalizing furniture is one of my favourite pastimes. Seeking out tables, chairs, old chests and other ‘stuff’ that has been sent to secondhand shops and roadside sales is an adventure; there are abandoned treasures out there waiting to be reborn. And when I get my sad-looking finds home and clean them up, inspiration for a redo often comes in a can or two of paint. Here are two different styles that I have produced, both worthy of a sunny country verandah. For one, I got my inspiration from those beautiful tiled tables seen in the south of France. I stamped the shapes and colours of Provencal tiles onto a light grey base coat using pieces cut from kitchen sponges. 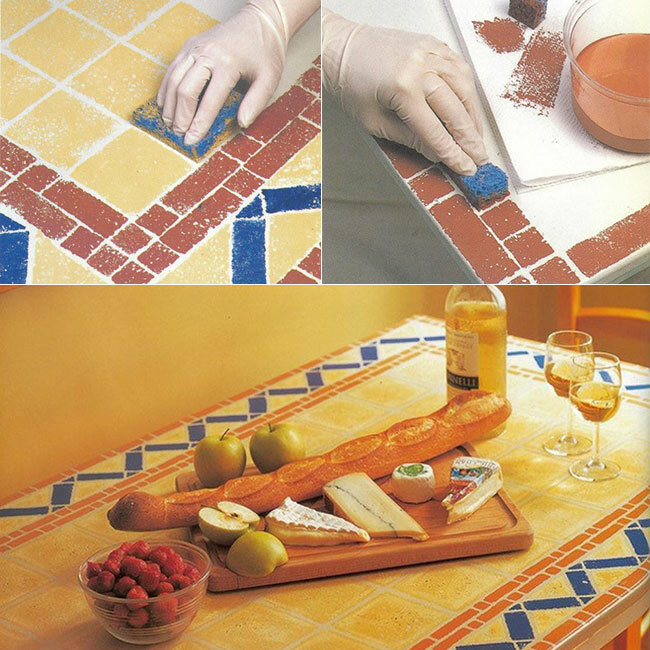 For pattern ideas look in your local library or check the internet under “Mosaics” and/or “French Country Style”. Draw your pattern lightly on the tabletop over the dry base coat. (The grey represents the colour of the grout that will show around your stamped tiles.) 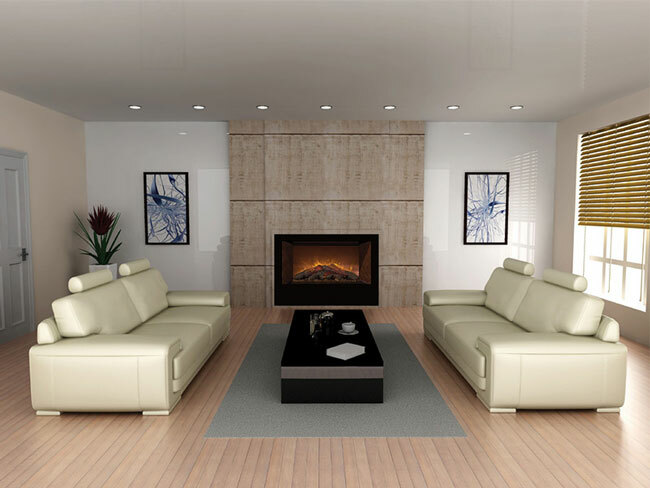 Cut out tile shapes to fit your design; large and small squares, rectangles and triangles. Make the shapes a little smaller than what shows on your pattern so that you will leave grout space around each tile. To fill in the design, dampen a sponge tile stamp, dip one side into the paint, dab off the excess on a piece of paper towel and press it into place. The impressions don’t have to be perfect as they represent old, worn tiles. 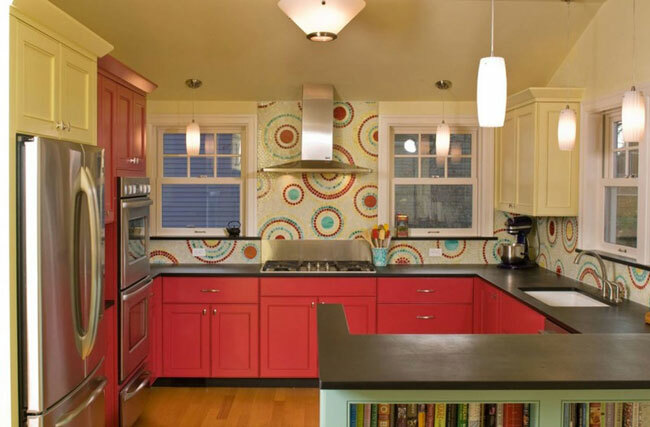 Complete your pattern leaving spaces between the tiles that represent the grout lines. Begin with the border and when complete fill in the center. Leave to dry for at least 24 hours, then erase any pencil marks and apply 2 or 3 coats of varnish for protection. We will leave the chairs for another day. So many ideas! Enjoy your spring projects.